For the past three years we have been advocating the preservation of all existing garden apartments in the Westover area through historic preservation. The Arlington County Government has refused to proceed and enact local protection of these units. Over 11 buildings with 90 apartments have been demolished along with 100-year old trees and lawns, replaced by townhouses costing well over $800,000 and unaffordable to the people living in the apartments, our friends and neighbors. We want to file a legal action against Arlington County Government for its failure to preserve the units. We are asking for your financial assistance to the Westover Preservation Legal Fund for a lawsuit against Arlington County to force it to complete the historic preservation review of Westover Village garden apartments. 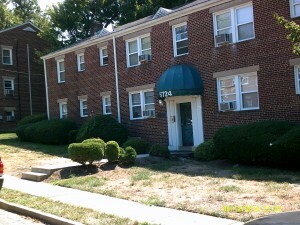 We want a judge to order Arlington County to finally decide if the 80-year old Westover Village garden apartments should be protected with a local historic designation or demolished, but we need money to hire an attorney. In 2016, many Westover neighbors and tenants were concerned with the demolition of the 80-year old garden apartment buildings in Westover Village with affordable rental units, surrounded by 100-year old trees and wide lawns. So we filed a petition under the state historic law and county ordinance with Arlington County asking for local historic designation of Westover Village that provides legal protection from further demolitions. In 2006, the whole Westover Village had already been placed on the National Register of Historic Places, but never protected from demolition with a separate local Arlington designation. Any funds raised will be used to pay attorney and associated fees to file a case asking that Arlington County be required to immediately finish its historic review of Westover Village apartments. The Fund is a Virginia business trust aimed at historic preservation of Westover Village in Arlington. Your contribution is NOT tax deductible.